Having been born in 1992, on January 16, Matt Doherty's age of 27 makes him senior to the average player of Wolverhampton Wanderers. 71% of Wolverhampton Wanderers' football players are right footers and so is Matt Doherty. Standing 1.82 meter high, he is as tall as his team's mean height. 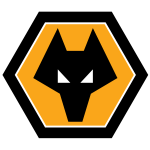 These days, his team Wolverhampton Wanderers comes first place in Uhrencup plus eighth place in Premier League (United Kingdom). Matt Doherty had 41 match appearances this season. English defender Matt Doherty, who is currently under contract to Wolverhampton Wanderers in United Kingdom, joined the club March 23, 2018. Wolverhampton Wanderers has nine more defenders in their squad, namely Conor Coady, Willy Boly, Ruben Vinagre, Romain Saiss, Jonny Castro, Cameron John, Max Kilman, Leander Dendoncker and Ryan Bennett. 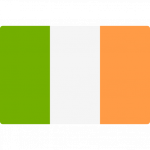 Besides Wolverhampton Wanderers, Matt Doherty is at Ireland's command, too. Championship 16/17 (United Kingdom) has been his best season so far since he scored his personal highest amount of goals. On the other hand, his worst season was Championship 14/15 due to him receiving most yellow and red cards of his career. He wears the number 2 strip at Wolverhampton Wanderers. While being substituted more out than in this season, the contrary occured the year before. However, Matt Doherty shows 16 out and 25 in substitutions in total. 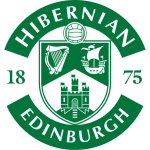 Prior to joining Wolverhampton Wanderers, he played for Bury FC and Hibernian FC. His portfolio includes one accidental own goal, which happened with Wolverhampton Wanderers in a match of Premier League 18/19 (United Kingdom). From his professional start until now, Matt Doherty has performed in 279 matches in total and hindermost appeared eight days ago. On average, he has participated in 10.7 matches per season. 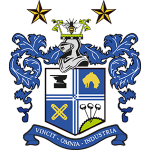 His shortest spell with a club was just three months in Bury FC (United Kingdom). At 176.37lb, he carries 10lb more than the average Wolverhampton Wanderers player. Matt Doherty changed three clubs throughout his career as professional. Eight years and 10 months was the maximum period he ever played in a team, which is his latest one. To date, collectively he holds 34 penalties, of which one is red. Lately, he seems to be more quiet since less penalties were given to him than usually. Concerning the latest matches, Matt Doherty's club won in Uhrencup plus won in Premier League. He is enjoying a great Premier League 18/19 (United Kingdom) season so far, netting seven times (7.3% of his team's sum) and initializing seven goals. This leads to roughly 0.17 assists and 0.17 scores per match in the resent season. One could say he translated to a slightly improved form compared to last year yielding a per-match-quota of 0.09 goals and 0.02 assists.